More than 300 million years ago, during the period known as the Carboniferous, there emerged a group of four-legged animals known as synapsids. Their descendents, the therapsids, would eventually give rise to mammals. 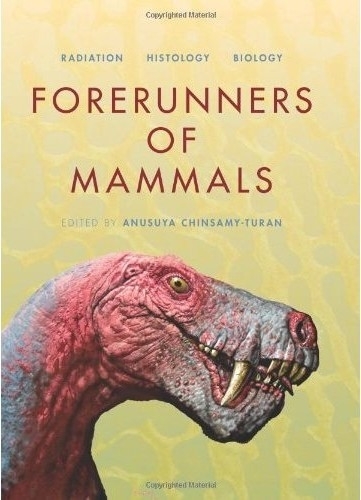 Beginning with an introduction to the synapsids, their descendents, and the ancient world in which they lived, this remarkable book surveys their radiation, histology, and biology. It documents types of bone microstructure and their biological implications, provides insights into their biology and the evolution of endothermy in the group, and highlights areas for future research. A detailed guide to the synapsids, the book discusses the interrelationships within the group and their radiation from the earliest pelycosaurs to the diverse non-mammalian therapsids and later to the increasingly more mammal-like cynodonts. A chapter on the Karoo Basin of South Africa documents an unparalleled record of therapsid evolution and radiation and offers a unique perspective on therapsid biodiversity and paleoenvironmental analysis.